No, that isn’t a typo or a quality possessed by your friend’s younger sister, but a powerful player in the global tech market. The SaaS (or software as a service) business model is one of the most profitable, and popular, in use today. In fact, it is expected to be a $133 Billion industry by 2020, and with good reason. Rather than selling it for a large, one-time fee, SaaS companies sell their product at a lower, recurring rate as long as someone uses it. This model offers more flexibility and upfront affordability to users, while in the long-run, delivering more profit for the company. SaaS companies are also able to roll-out more frequent updates to their software with very little effort or overhead, ultimately creating a better user experience and overall product for all customers. Hoping to prosper from the profitable model, more companies are launching SaaS businesses than ever before, forming a highly-competitive and arguably, saturated market. With so many competitors selling essentially the same types of services in certain spaces, companies are looking for new ways to attract users. Enter the free SaaS trial. While the concept of a free trial or demo is by no means new or revolutionary, it has never been more necessary. As with any SaaS marketing tool, a free trial is one of the only ways to let your product sell itself. 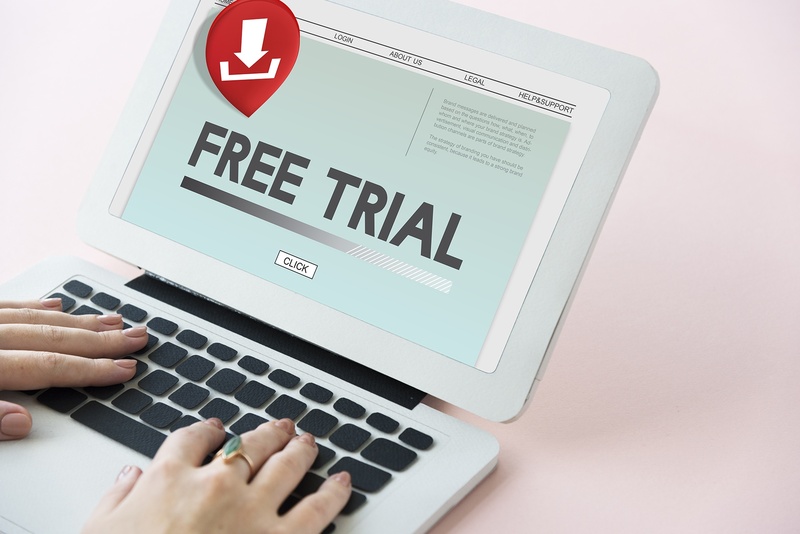 In fact, GoToWebinar reportedly sees around 40% of its free trial users convert into paid plans, while the best-in-class softwares see more than 60%. In this playbook, we explore the benefits of free trials, help you maximize their power, and share 11 tactics that can help you get 3x more people signing up for yours each month! As marketers, we’re always trying to find new, effective ways to convey the value of our products and get our potential buyers to imagine themselves benefiting from it. Providing a free trial of your SaaS lets them experience it first-hand. Unlike some persuasive copy on a landing page or even a demo video, a free trial of your SaaS lets prospects see behind the curtain, per say. It lets them know definitively, without question, what your product looks like, how it functions, and how they personally will interact with it. For the SaaS companies themselves, free trials are also one of the simplest strategies to implement. Unlike creating an eBook or white paper to gather leads or having to get on the phone to answer questions which often require research, writing, revision, etc., your software already exists. To start generating leads off of a free trial, all you need to do is give people access. One of the hardest things about shopping online is not knowing what you’re really going to get. In a traditional retail store, you can go in and usually physically touch and hold the product you’re about to buy. Even when it comes to software, it’s likely you can hop on a laptop and try it out in some stores, but online, these experiences are rarely possible. This uncertainty creates friction between the consumer and making a purchase -- but a free trial, helps eliminates it. As mentioned above, a free trial lets people see exactly what they’re getting into, before officially committing. It enables them to personally experience the product and make a more informed purchase decision, while also feeling more comfortable doing so. Plus when people sign up for a trial, they enter your marketing funnel and to a degree, qualify themselves as a promising lead. The content above is an excerpt of our new playbook, "11 Tactics for Generating 3x More SaaS Trial Users a Month." To get all 11 tactics, learn more about running a successful SaaS trial and following up afterwards, get your free copy of the full playbook by clicking "Get it Now" below.